Anne McCormick was born in Bowmanville, Ontario, Canada. After competing a B.A. at the University of Guelph, Anne and her husband George moved to Alberta. They now call an acreage near Partridge Hill home. Anne studied fine art in university taking drawing and experimenting with various painting techniques such as egg tempera, fresco and Venetian oil. She has since continued her art education studying under national and internationally known artists. Anne participated in designing and painting the Fultonville and Ardrossan murals for which she received the Pride Of Strathcona Award. Now she paints mainly in oil and pastel. Since her move to an acreage she has developed an appreciation for the beautiful countryside surrounding Fort Saskatchewan and now paints the local landscape. She is a member of The Canadian Federation Of Artists and the Alberta Oil Painters. 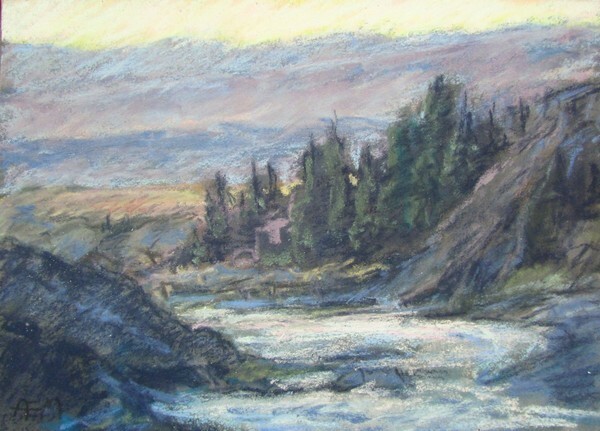 Anne’s work is in private and public collections throughout Canada.